Sega and Firestone Financial have joined forces to offer operators a new finance deal. Operators can pick from three premium Sega theatre video games and spread the cost over 36 months, without any down payment, at 2.99 per cent APR. With this finance offer, the company aims to make acquiring its products as easy as possible. Operators can choose from three officially licensed games Transformers: Shadows Rising, Target Bravo: Operation Ghost, and Luigi’s Mansion Arcade. 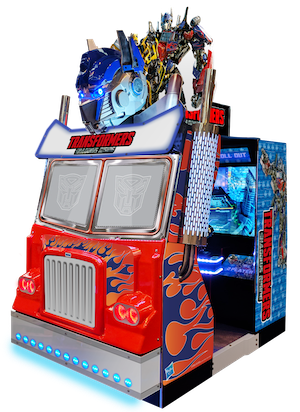 Transformers: Shadows Rising is presented in a large truck design cabinet, with chrome exhausts, big grill and lifelike Optimus Prime head, designed to make it stand out in any location. Players team up with three heroes; Optimus Prime, Bumblebee and Sideswipe to stop evil Megatron’s plans. 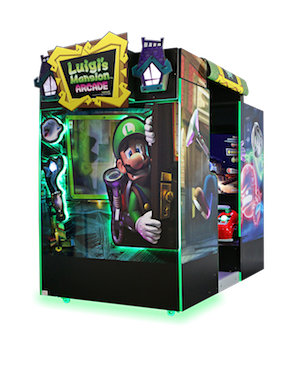 Luigi’s Mansion Arcade is a two-player action adventure game featured in a 55ins atmospheric theatre cabinet. Players must capture ghosts using a unique controller, solve puzzles and battle monster-sized bosses. Luigi’s Mansion Arcade is a popular licenced product from Nintendo designed to attract all ages. Target Bravo: Operation Ghost is a Sega legacy licenced game that puts players in the shoes of highly trained special force agent to save the world. The shooting game is housed in a 55ins theatre cabinet. The finance offer is limited and ends on March 31, 2019. Minimum purchase of one of three select games, first payment is due thirty days after the contract has been funded, further terms and conditions apply.